Oh my. 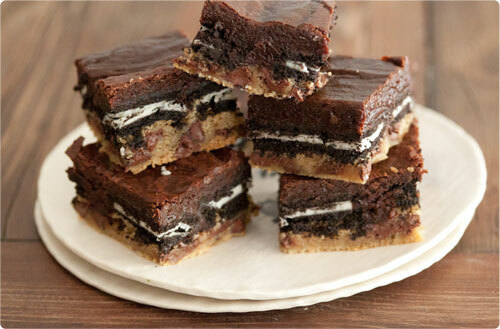 These are decadent. I wish I hadn’t made a full recipe because now they’re calling to me from the kitchen, “Carrie, it’s just one more little piece of goodness. No one will even notice that you ate me…except your jeans! Mwahaha!” I hate you evil brownies. Desserts with which you have a love-hate relationship are usually the best ones. 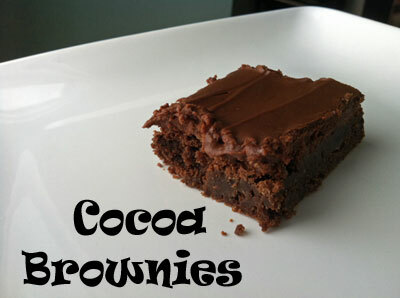 This brownie recipe will be one that I will make again. Simple ingredients. Easy preparation. Sinfully good. And while I ate more than one for dessert, a normal person with a healthy relationship with sweets really only needs one to be satisfied. 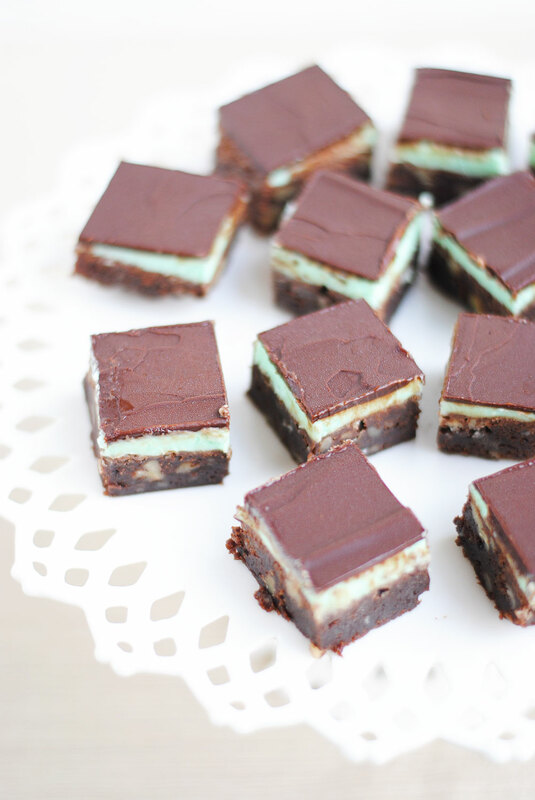 I found this recipe on Tasty Kitchen, the recipe sharing site from the Pioneer Woman. Here is the link to the site. I’ve enjoyed searching through all the recipes, but have yet to submit any of my own. There are already so many recipes with a pretty great variety that I don’t know if I will. One of the things I like about sites like these is that real people made the recipes and so they are usually pretty easy and tasty. Thank you, Tasty Kitchen! 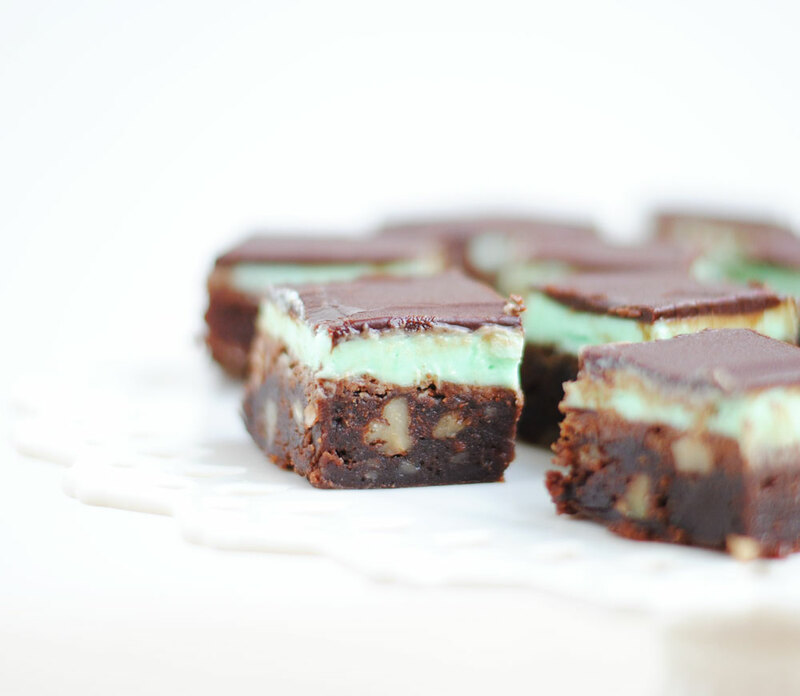 On the site these brownies are called “Are We in Heaven? 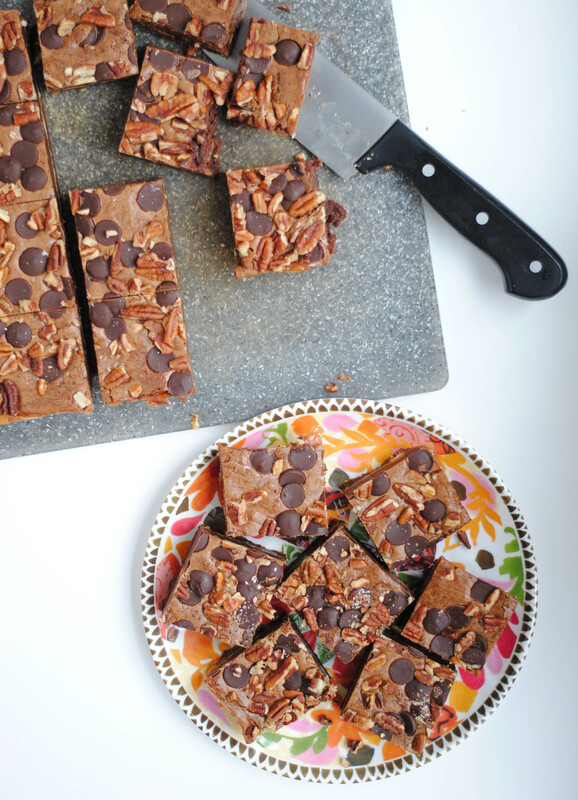 No…It’s Just the Brownies.” which is what made me take a second look at this recipe. I thought it was funny. 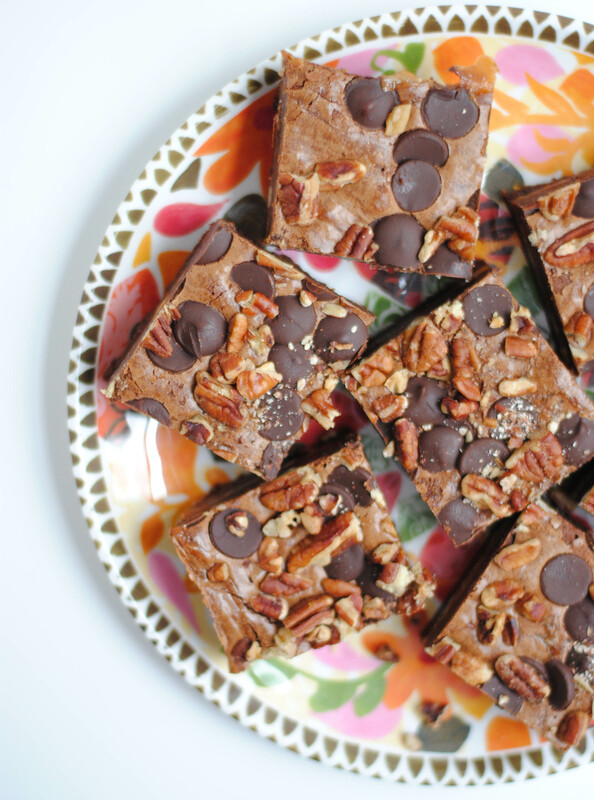 Would I say that these brownies are like being in heaven? No. Nothing on this earth is going to be that good. But they are incredibly good. Sarah and I are in Brooklyn…finally. I won’t go into too much detail because it will just get me worked up, but it was a bit of a nightmare. Cancelled flights, 180 people on stand-by, an unplanned night in Dallas, a 6:40 am flight the next day, lost baggage, horribly unhelpful AA baggage people, and now items are mysteriously missing out of my suitcase. This was not the best travel experience. Thankfully, we are here now and having a great time visiting my sister Lisa, my brother-in-law Randy and our 10 week old niece Maren. 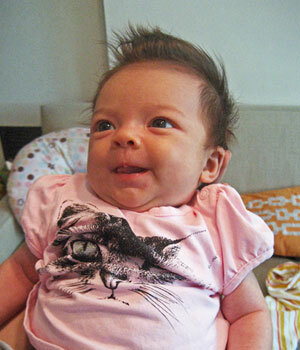 Isn’t she amazingly cute? She has the most rockin’ hair I have ever seen. She is a whopping 9 pounds now, and quite fun to be around. 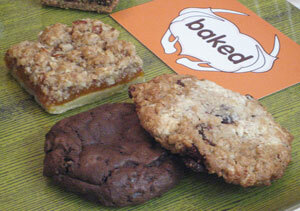 This morning while driving around Brooklyn we stopped in Baked, a bakery in Red Hook, to pick up some goodies. Here is a link to their site. 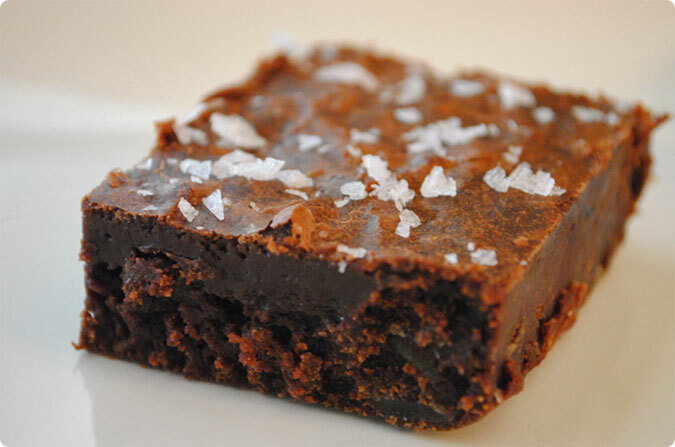 Sarah had heard of their salted brownies; caramel and fleur-de-sel in a chocolate-y brownie. I’d read that they also had incredible whoopie pies. 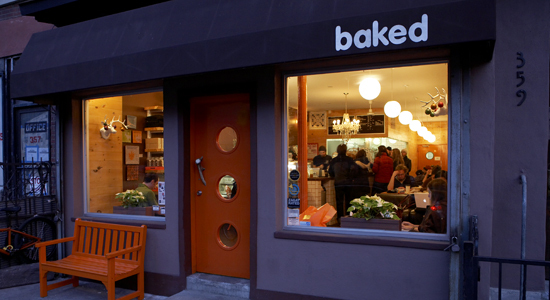 The bakery is a little funky and very cool. The door is orange with an animal antler handle. Inside the decor consists of white deer heads on the walls, orange details and warm wooden tables and wood grain walls and tables. A crystal chandelier hangs above the counter to soften the manliness of the place. Unfortunately the salted caramel brownie that we came here for was not on the menu today. However, Sarah and I are not quitters, and we will not give up just because of a slight disappointment. So we chose an assortment of treats to sample and share with each other. 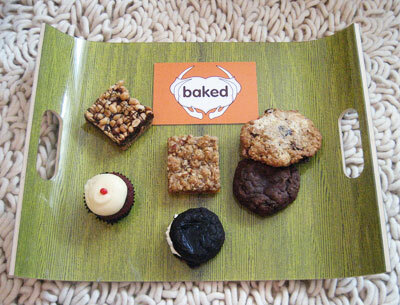 Here is a tray of most of the goodies. Clockwise from top left are the s’more nut bar, rosemary apricot bar, oatmeal cookie, chocolate cookie, chocolate whoopie pie with vanilla cream filling, and mini Red Velvet cupcake. Not pictured but very delicious are the banana whoopie pie, lemon pistachio vegan cookie and the Brewer’s brownie made with brewers malt. 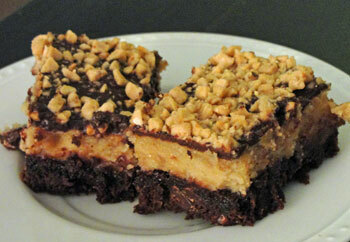 S’more Nut Bar: A slightly sweet graham cracker base with a chocolate and marshmallow center and peanut top. The chocolate is thick, ganache-like and incredibly rich. I would have enjoyed more marshmallow pieces in this bar, but it was still very good. 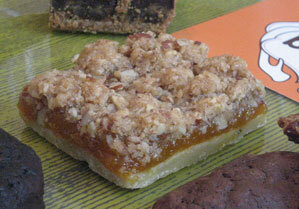 Rosemary Apricot Bar: This was one of my favorites. I usually do not like apricot, but with the rich buttery bottom layer and the nutty streusal topping I was a total fan. The rosemary adds such a great savory flavor to the sweetness of the rest of the ingredients. It reminds me of these rosemary pecan cookies which I LOVE with a passion and cannot stop eating when I make them. Oatmeal Cookie: Another favorite packed full of oatmeal, coconut, dried cherries, pecans and white chocolate. I might try to recreate these at home. Chocolate Cloud Cookie: Dense, chocolate goodness. Whoopie Pie: A softer version of an Oreo and so much tastier. Rich and yummy chocolate cookie encasing light fluffy vanilla cream filling. Tasty. Mini Red Velvet: An adorable treat with a perfect dollop of cream cheese frosting. This a perfect single serving cupcake. A few weeks ago I caught the end of Oprah while on the treadmill at the gym. Her guests were the contestants of the 2010 Pillsbury Bake-Off, and at the end of the show they revealed the winner of the $1,000,000 grand prize. This was the winning recipe, Mini Ice Cream Cookie Cups. 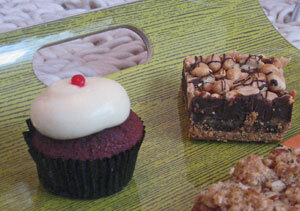 These little treats look delicious! And I know they must taste good as well. How could they not? The ingredients have no option but to create perfect sugary wonder! 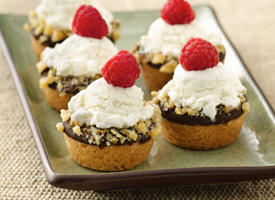 Sugar cookie dough made into cups, dipped in chocolate and nuts, a spoonful of fruit jam in the bottom, topped with ice cream and fresh raspberries on top. My problem with this is that it won $1,000,000 dollars. They are somewhat creative I guess, but very little of this recipe is homemade or imaginative. Were there no better recipes than this in the contest? Seriously? Who judges this contest? A 10 year old who just LOVES ice cream sundaes? Am I being harsh? I got on the Pillsbury website and decided to go on a mission to look at other recipes that were contenders in the 2010 Bake Off. 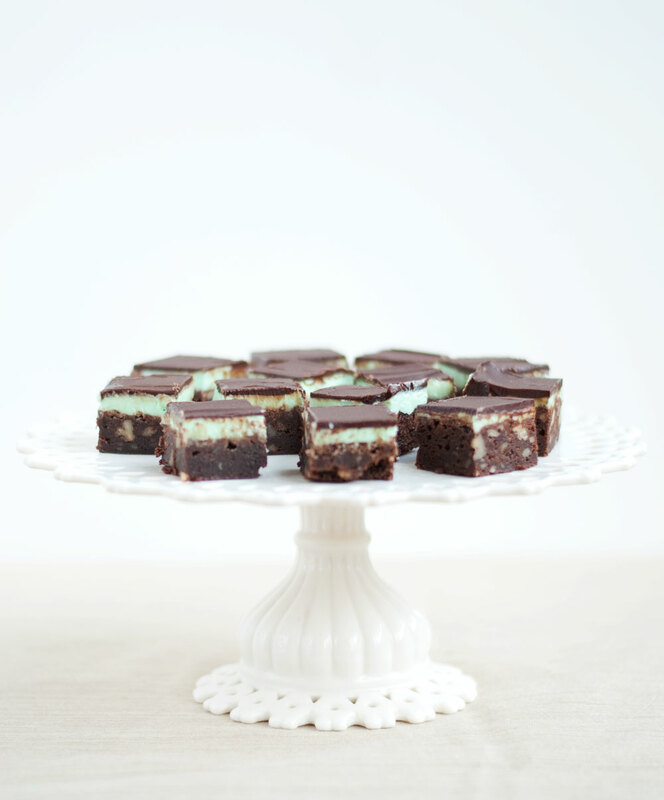 These brownies were among the finalists, and while they do use a brownie mix, there is more to these brownies than just a dressed up mix topped with ice cream. 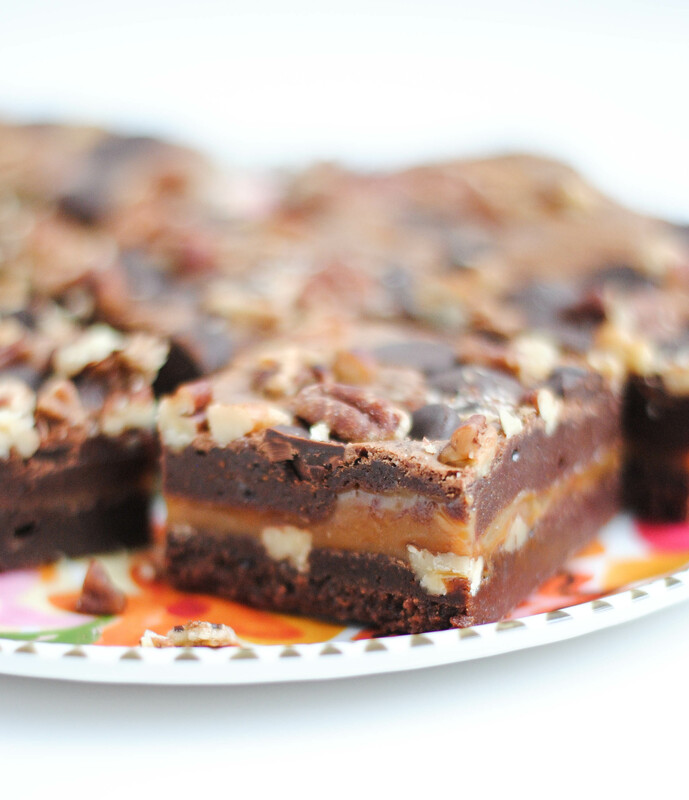 On top of the brownie layer is spread a layer of sweet cream cheese and peanut butter goodness. 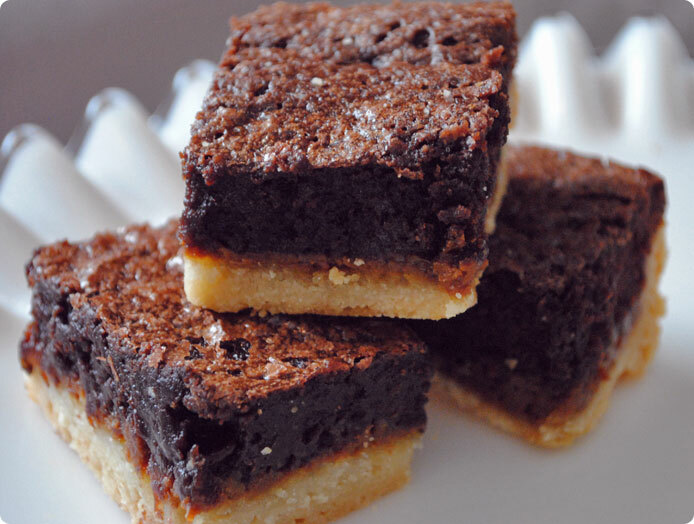 To finish things off, a layer of melted chocolate is spread over the brownies and then sprinkled with toffee pieces. Without having made the cookie cups, I can’t say for sure that these are better or more worthy of the prize, but they are very tasty. 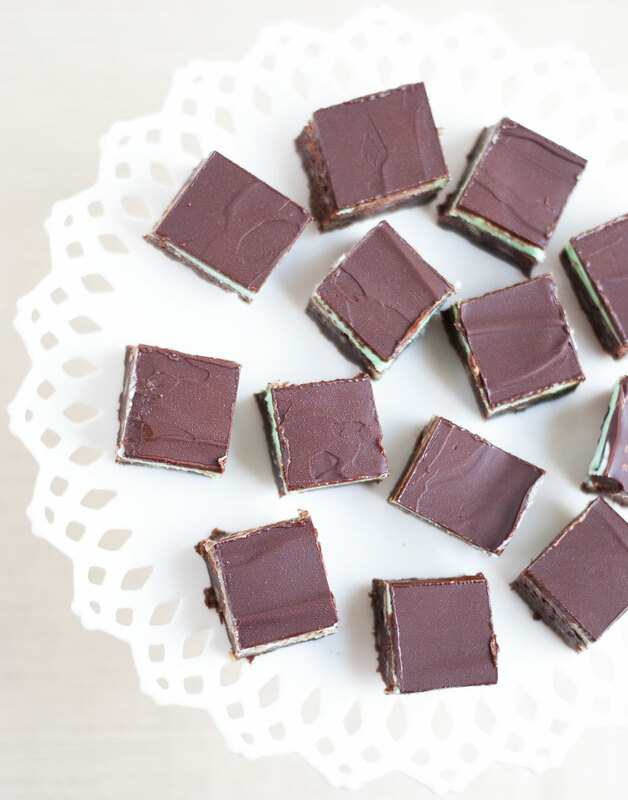 Enjoy in small portions with a glass of milk because they are rich and quite chocolate-y. 1. Heat oven to 350°F. Lightly spray 13×9-inch pan with cooking spray. 2. In medium bowl, stir brownie mix, oil, water and eggs 50 strokes with spoon until smooth. Spread batter in pan; set aside. 3. In large bowl, beat cream cheese with electric mixer on medium speed until fluffy. Add milk and peanut butter; beat until smooth. Stir in 1 cup of the toffee bits. Spoon mixture over batter; spread evenly. 4. Bake 30 to 40 minutes or until cheesecake layer is set and edges are light golden brown. Cool on cooling rack 30 minutes. Refrigerate 40 minutes. 5. In small microwavable bowl, microwave chocolate chips and cream uncovered on High 40 to 60 seconds or until chips are melted; stir until smooth. Spread over cheesecake layer. Sprinkle with remaining toffee bits. Cool completely, about 1 hour. 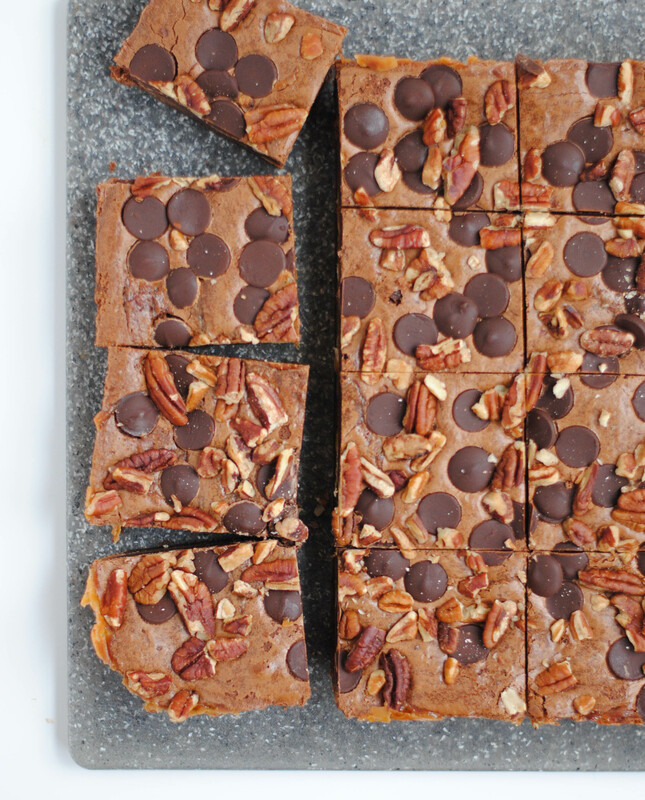 For brownies, cut into 6 rows by 6 rows. Store covered in refrigerator. It was 70° two days ago. Right now it is 39°, cloudy and misty. I’m wearing long pants, a sweatshirt and my fake fur lined boots…and I like it. The cooler weather inspired me to bake something warm, rich and chocolate-y yesterday, so I found a basic and easy brownie recipe, halved it to better serve 2 people, and made use of what I had in my pantry.